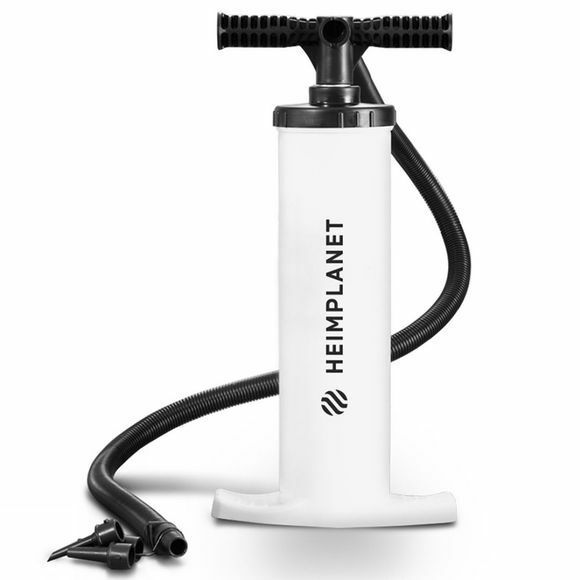 The light HEIMPLANET double action pump is the perfect complement to "The Cave" and "Nias", but of course you can set up "Fistral" as well. All it takes are just a few strokes of the pump to have the tent standing. In contrast to most of the other pumps this pump is equiped with an aluminum piston which enables a long life and a stable handling.